The Ford Ranger is one of the most popular 4×4 vehicles, for both on and off-road driving. The main reasons for its popularity are the facts that it has a powerful engine, a high level of comfort and it’s capable to ride through all types of terrain. However, just like with most other 4×4 and vehicles in general, it still has a lot of room for improvement. 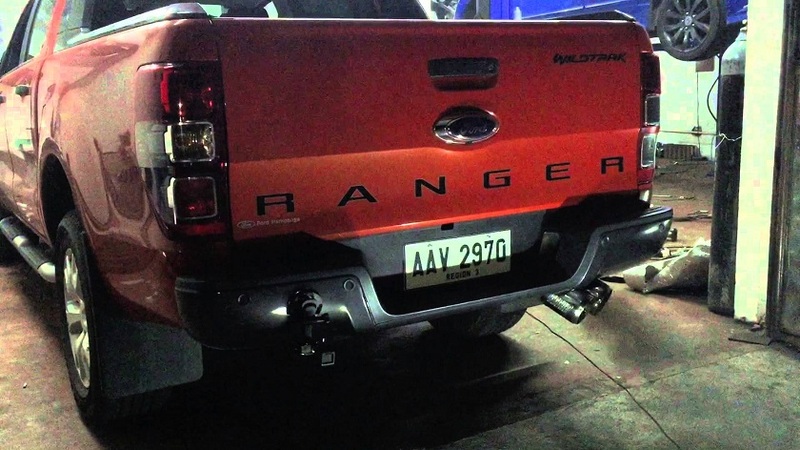 The most affordable and significant improvement you can make to your Ford Ranger is adding to it an aftermarket exhaust system. The main reason for this is the fact that stock exhaust systems aren’t made with performance in mind, but affordability. An aftermarket Ranger exhaust system can impact how your vehicle performs on and off the road, how it sounds, and how it looks. Not only will you get more throttle and horsepower out of your engine, but you’ll also get better fuel economy. An aftermarket Ranger exhaust system has larger pipe diameters, allowing for more oxygen to get into the engine, thus improving the rate at which fuel burns. Plus, it allows the exhaust gases to exit faster from your engine straight out the exhaust tip. This, in turn, makes the entire exhaust system cooler and more efficient. Moreover, aftermarket exhaust systems are constructed differently. Stock exhausts are made using inexpensive crush bend methods, which leave ridges in the exhaust pipes along the bends. As a result, these bridges create drag which hinders the exhaust’s flow. Additionally, stock exhausts are made of mild steel, which breaks down over time and needs to be repaired periodically or replaced. Aftermarket exhausts, on the other hand, are built using the mandrel bend design, meaning the exhaust remains smooth throughout curves. Furthermore, aftermarket exhaust systems are made of higher quality materials like aluminised and stainless steel. Speaking of materials, aluminised and stainless steel are rust- and corrosion-resistant. Even though they’re more expensive, they last a long time. In fact, they can easily outlast your vehicle. Additionally, aftermarket exhaust systems are usually accompanied by mufflers that are louder and produce more aggressive noises. Moreover, you can choose between single and dual exhaust tips, and they can completely change how your vehicle looks. However, before you go for the loudest muffler you can possibly find, make sure you read about the rules and regulations regarding the allowed level of noise your vehicle can produce on the streets. That being said, you can opt to buy an aftermarket exhaust system for various different reasons. Bottom line is, it’s the most affordable upgrade that will drastically improve your vehicle’s performance, fuel economy, sound and look.